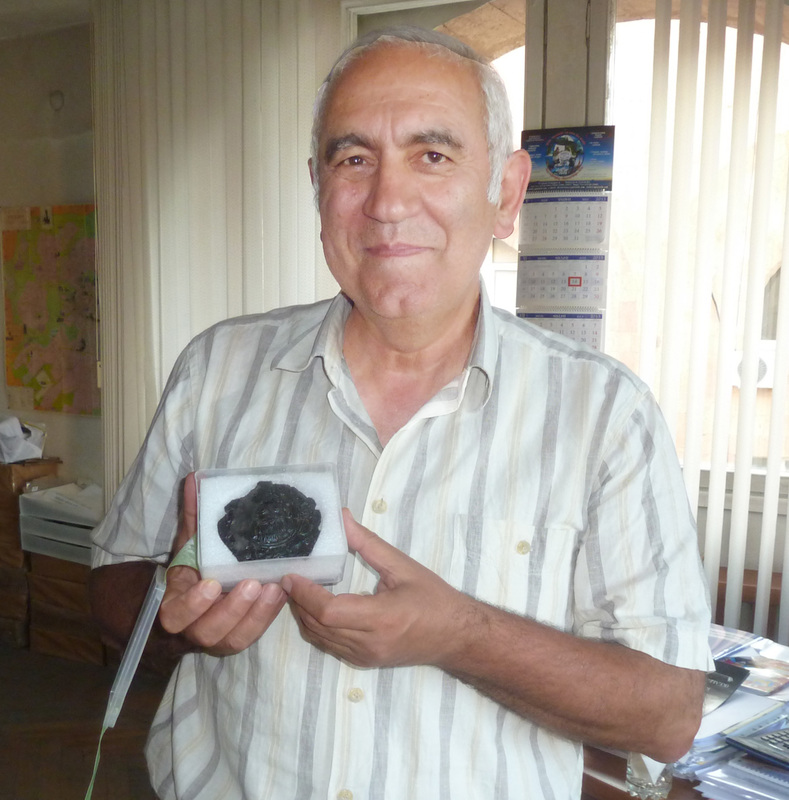 These pages are based on a visit that I made to Armenia in June 2013 accompanied by my wife. 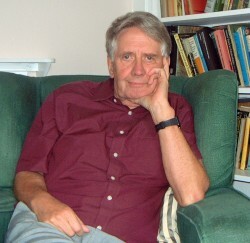 I am Andrew Selkirk, the Editor-in-Chief of the British magazines Current Archaeology and Current World Archaeology. I originally studied Classics (“Greats”) at Oxford where I was President of the Oxford University Archaeology Society. I then launched Current Archaeology in 1967, and have been running it ever since, though today the running of it has largely been taken over by our son Robert. Nina Dadoyan (left), of Armenia Travel, Armenia’s leading travel agency, at the Paestum archaeological travel fair. 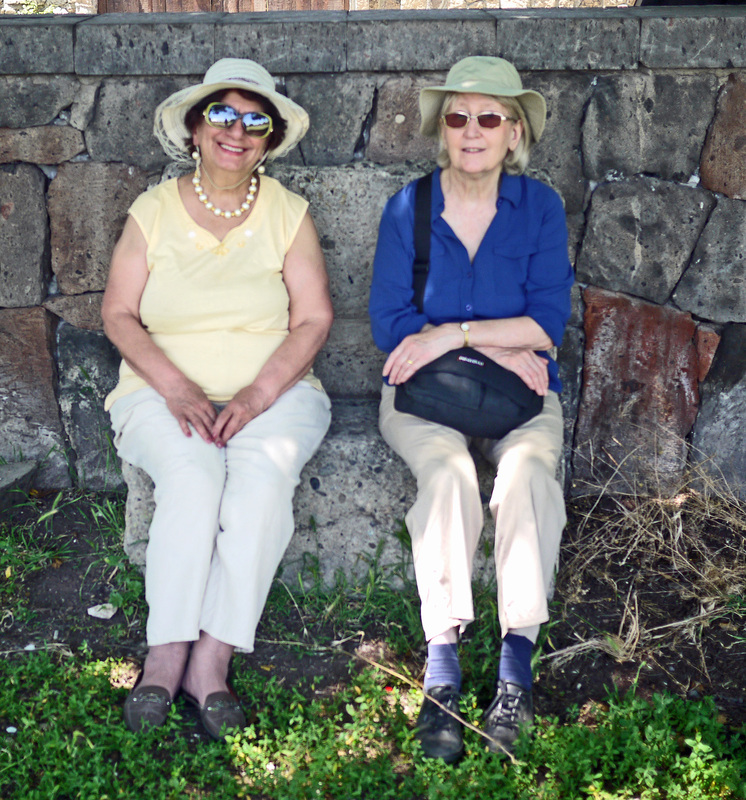 I was first introduced to Armenian archaeology in Italy at the Borsa Mediterranea del Turismo Archeologico – the great archaeological fair held every year at Paestum. 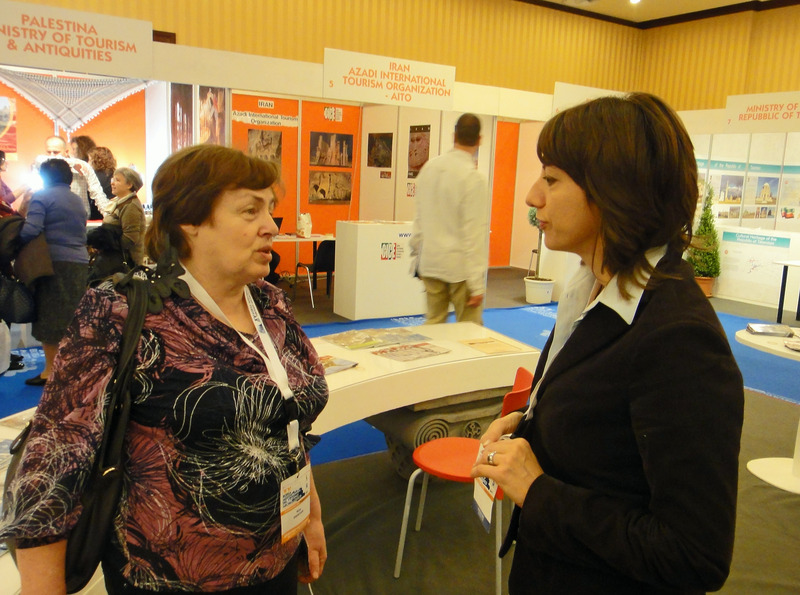 Here in 2012 the lead exhibitor was taken Armenia, organised by Nina Dadayan of Armenia Travel, who greatly facilitated our visit to Armenia. 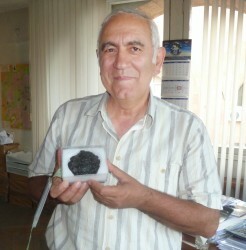 Hakob Simonyan, with the Bronze Age plaque that he excavated. At Paestum I also met Hakob Simonyan, the Director of the Cultural Heritage Scientific Research Centre of the Ministry of Culture who invited me to come to Armenia and who organised our trip there with the help of his translator, Armenui Simonyan, and of his research assistant Arman Nalbandyan, who drove us round and showed us the sites (see above). 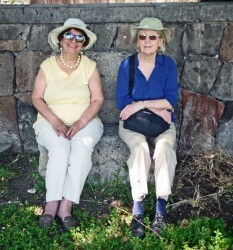 My thanks also go to the authors of the excellent Bradt Guide book to Armenia, by the late Nicholas Holding, and to his wife Deirdre who has taken on the task of updating the guide book. I have cribbed from it in a number of places! The two most useful books on Armenian archaeology are both somewhat out-of-date – ‘Urartu’ by Boris Piotrovsky the excavator of Karmir Bur, and subsequently Director of the Hermitage Museum in St Petersburg, who provides an an excellent account, even though it was published in 1969. ‘The Peoples of the Hills’ by Charles Burney and David Marshall Lang was published in 1971 and gives a rather academic survey of the archaeology.